In order to register to vote in Monmouth County, please download and complete this NJ Voter Registration Form (English) or NJ Voter Registration Form (Spanish). If you are already registered and would like to affiliate with a political party, please download and complete this NJ Party Affiliation Form and mail or deliver to the address listed above. Voter Registration falls within the duties and responsibilities of the Monmouth County Superintendent of Elections Office. For questions contact 732.431.7780. 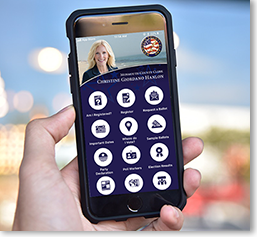 Download our Free Mobile Elections App!